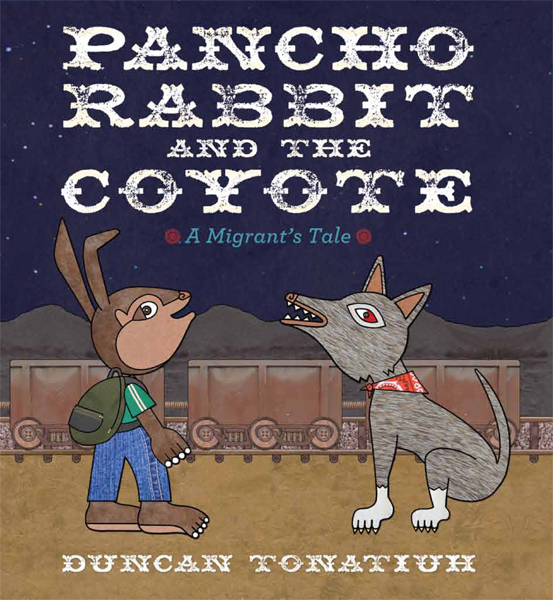 Pancho Rabbit and the Coyote: A Migrant’s Tale was published in May 2013 by Abrams Books for Young Readers. 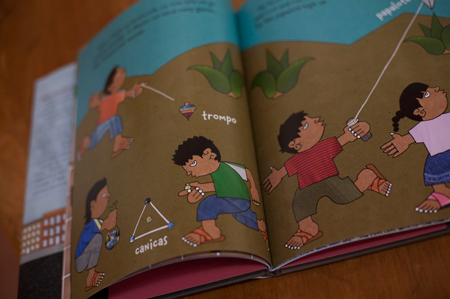 I am its author and illustrator. The book can be read on two levels. 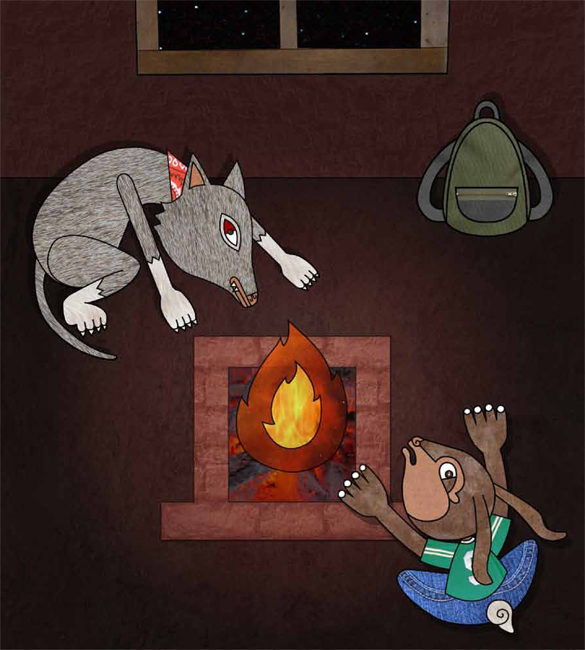 On the surface it is a story that reads like a fable, a bit like the Little Red Riding Hood or the Gingerbread Man. 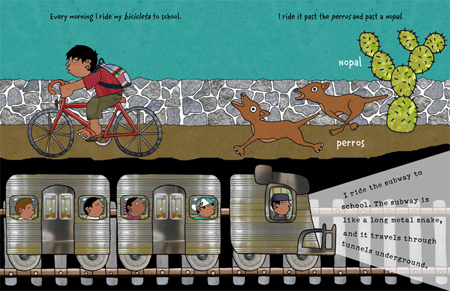 But the book is also an allegory of the terrible journey that undocumented immigrants go through in order to reach the U.S. 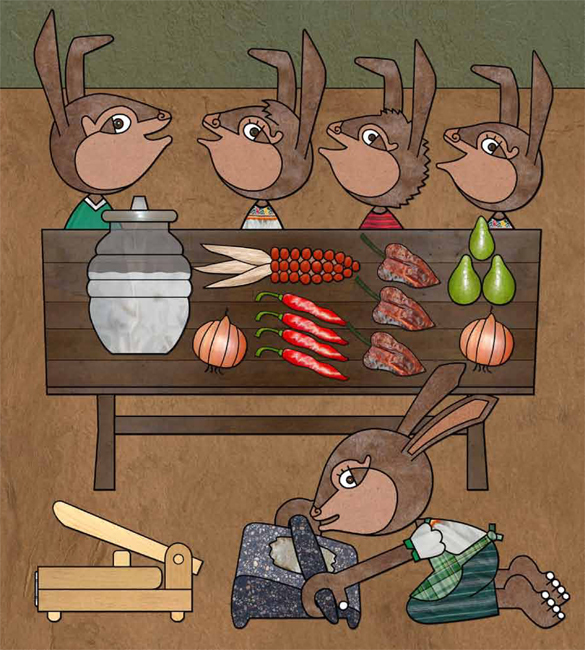 The book begins when a drought forces Papá Rabbit to leave and go North to find work so that he can provide for his family. After some years Papá Rabbit is finally returning. His family prepares a big fiesta for him and they cook his favorite meal: mole, rice and beans, a heap of warm tortillas and a jugful of fresh aguamiel. 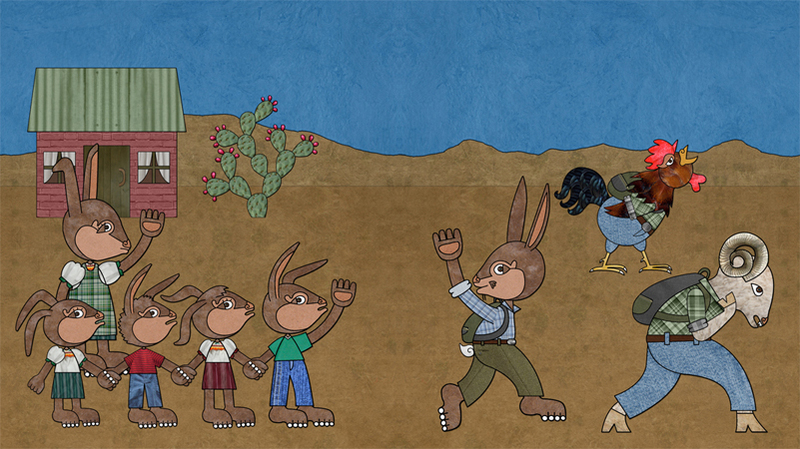 Everyone is excited to see him, but it gets late and Papá Rabbit does not come home. 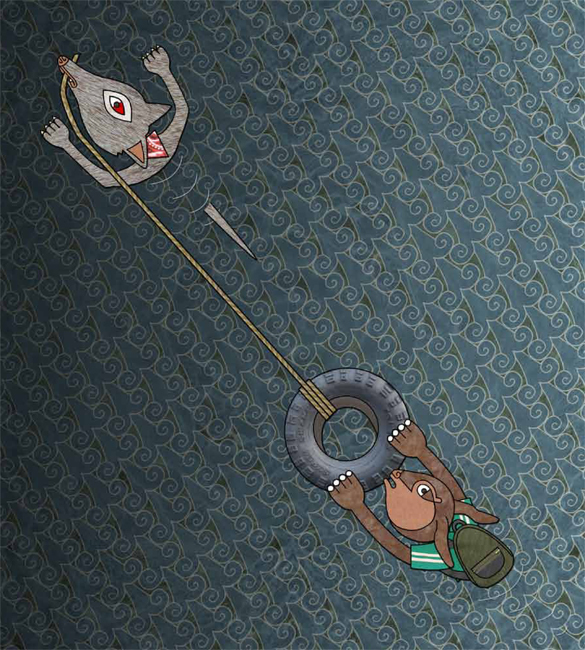 In the middle of the night Pancho Rabbit, the eldest son, packs Papá his favorite meal and decides to look for him. 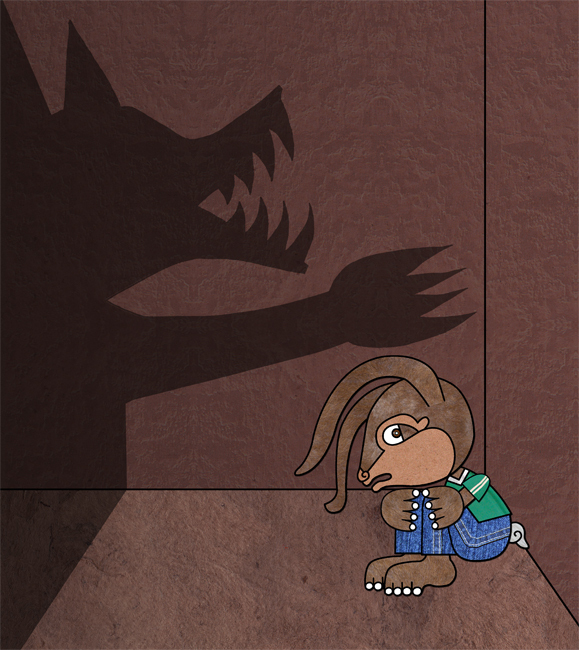 Along the way he meets a sneaky coyote who offers to help him. They travel together on top of a train, they cross a river, they use a tunnel guarded by snakes and they cross the desert. 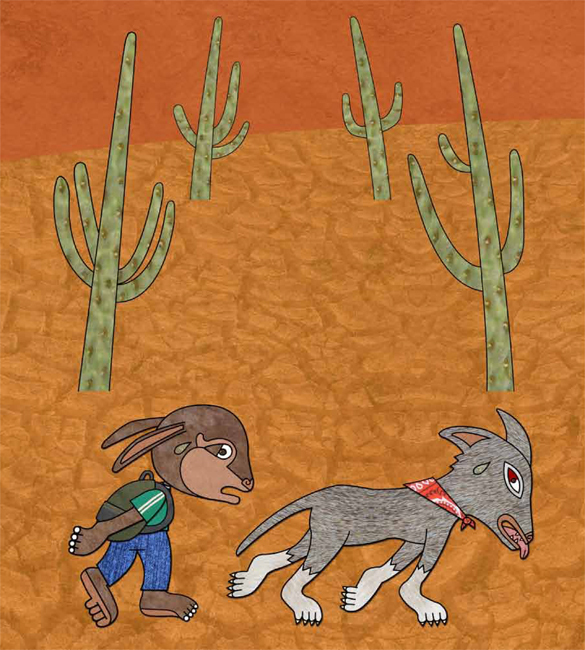 Every time the coyote helps Pancho he asks him for some of Papá’s food until the food runs out and the coyote decides he still hungry …for Pancho! In Spanish the word coyote has two meanings it is the name of an animal, but it is also slang for a person that smuggles people between the U.S. and Mexico border. Immigrants pay coyotes exorbitant fees for their help. They put their lives on the coyote’s hands and they have no guarantees that they will reach their destination. According to a 2010 Pew Research Center report, 11.2 million undocumented immigrants live in the U.S. An average of 150,000 unauthorized immigrants enter the U.S. each year. Most of them are from Mexico and Central America. They leavve their home countries due to poverty, violence and lack of opportunities. Central American migrants travel around five thousand miles on top of trains to cross Mexico. It is extremely dangerous. Because of their undocumented status they are vulnerable and they are often the victims of gangs that steal from them and abuse them. Some migrants never reach their destination. According to the American Civil Liberty’s Union and Mexico’s National Human Right’s Commission, between 350 and 500 migrants die every year. That number is most likely a lot higher because many migrants that die while trying to reach the U.S. are never found or claimed. Some drown while trying to cross the river that separates Mexico and the U.S. Many more die of dehydration while crossing the desert. It is not only young men that go on this journey. Women and children also go on this journey. There are an estimated 1.5 million undocumented children in the U.S.
Immigration comes in and out of the news cycle. But when it is discussed, it is usually in abstract terms. Instead of focusing on the experience of actual people politicians discuss immigrants as a statistic in the economy. Or worse, when we hear of immigrants in the media, it is with negative and sensational tones. Undocumented immigrants are often equated with terrorists and drug traffickers, when in reality almost all immigrants are hard working people trying to provide for their families. In 2008, 94% of undocumented immigrant men of working age were employed compared to 83% of U.S. born men. 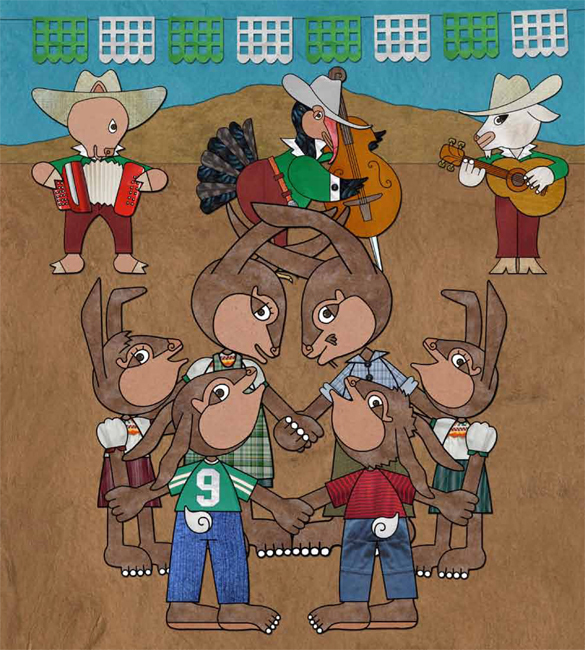 Pancho Rabbit and the Coyote has been well received by teachers, librarians, professors and parents. Some people have called the book liberal propaganda though. My book does not advocate for open borders of for a giant border fence protected by drones. Instead, it tries to focus on the terrible journey that migrants go through and the separation that families experience. Immigration is a complicated issue. In order to reach long-lasting solutions both the U.S. and the Mexican and Central American governments and societies need to be involved. On the one hand the immigrant’s home countries have to improve living conditions and create better opportunities for their citizens so they are not forced to leave. On the other hand the U.S. needs to admit its dependency on undocumented workers to do much of its manual and domestic labor and to provide legal and safe working opportunities for those seeking employment. Undocumented immigrants are a huge and important part of the U.S. workforce. According to a Pew Research Center study in 2005, 7.2 million undocumented workers were working in low skilled and often grueling jobs, like farming and construction. Only 31% of U.S.-born workers hold those occupations. 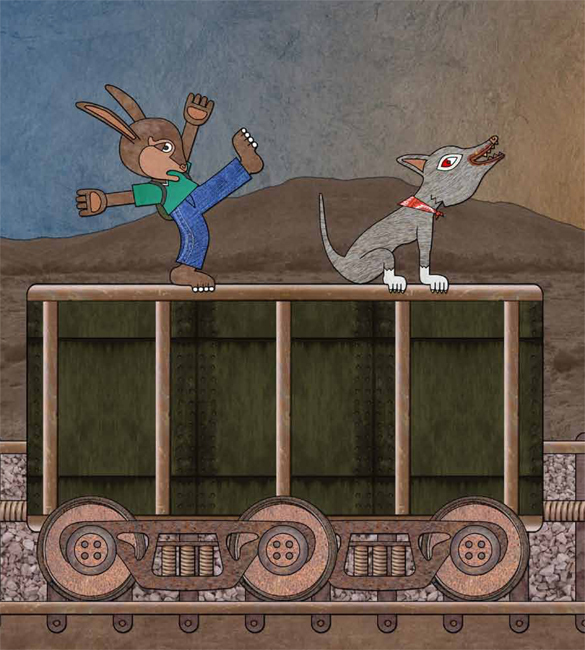 Some people have said that Pancho Rabbit and the Coyote is inappropriate for children. I disagree. I have read the book to children in schools and libraries in different parts of the U.S. Young kids enjoy the story the way they would enjoy a classic fable or a folk tale. 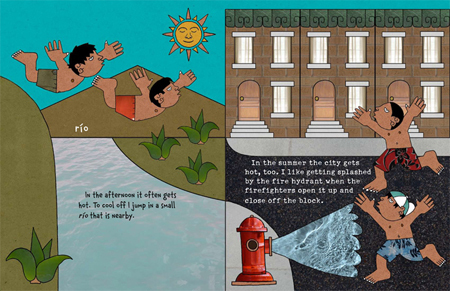 Older kids are able to understand and discuss the second layer of meaning in the book. Many of them see their own experiences reflected in the story. Last October a group of 4th graders from Metz elementary in Austin introduced me at the Texas Book Festival. They shared with me this multi-voice poem about their own immigrant experience. According to a 2011 Pew Hispanic Research Center report, in 2008 there were 5.5 million children of undocumented immigrants in U.S. Schools. 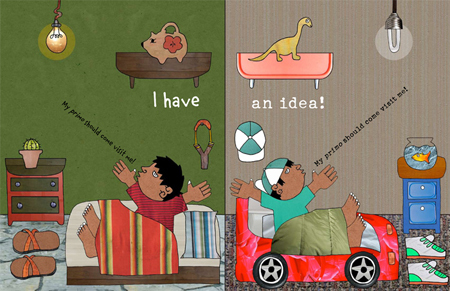 I think it is important to make books that resonate with them, with their parents and that generate empathy and understanding from their classmates. Here is a video of a TEDx talk I gave which has more information on the artwork and more information on my personal connection to immigration. I have not posted a new entry to my blog in several months. I apologize for that. I have been quite busy and productive though. 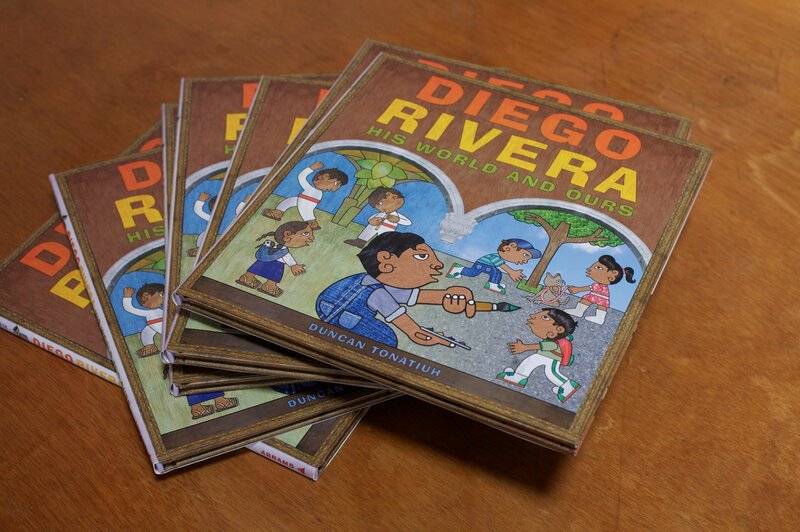 My second picture book Diego Rivera: His World and Ours was published by Abrams this last May. You can buy it online from Abrams or from Amazon among other retailers. The book has received some great reviews so far. 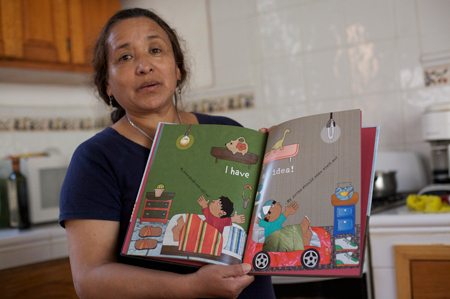 It received a Parent’s Choice Recommended Seal by the spring 2011 Parents’ Choice Book Awards. 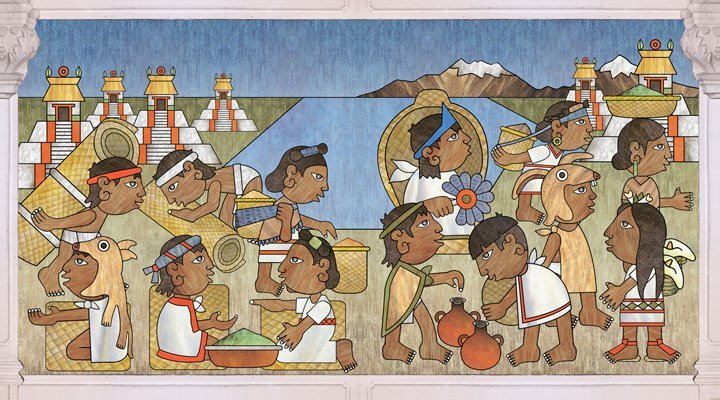 The Latin Baby Book Club chose Diego Rivera:His World and Ours as their June book of the month. They did a Q & A with me too. I am heading to Dallas later today. 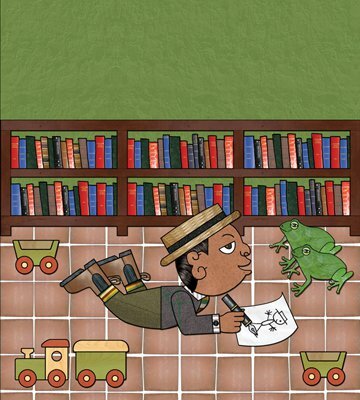 I am thrilled to be a part of the 1st Annual BooksmART Festival in the Dallas Museum of Art where I will read Diego Rivera: His World and Ours and also Dear Primo, a letter to my cousin. I will be visiting 3rd graders at the The School at Columbia University next Monday and I will be heading to New Orleans at the end of the month for the ALA conference. I have a busy and exciting month ahead. 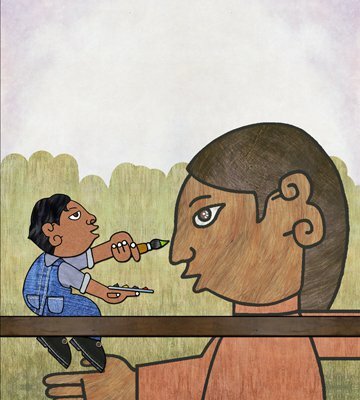 This is a sneak peek at my upcoming picturebook “Diego Rivera: His World and Ours” I am the author and illustrator of it. It is going to be published by Abrams and will be available next spring. The first part of the book is a biography of the great muralist. What I admire the most about Rivera is that he looked back at the art of ancient Mexico and combined it with the art of the modern era. In my work I attempt to do something similar. I look back to that ancient art also, but I try to combine it with the tools of the digital era. 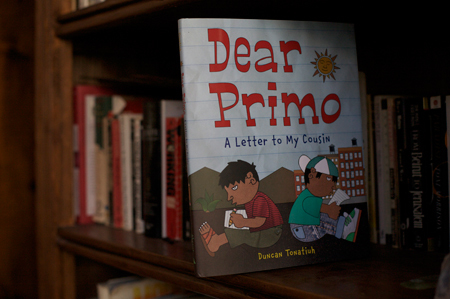 This is the cover of “Dear Primo, a letter to my cousin.” It’s my first picture book. 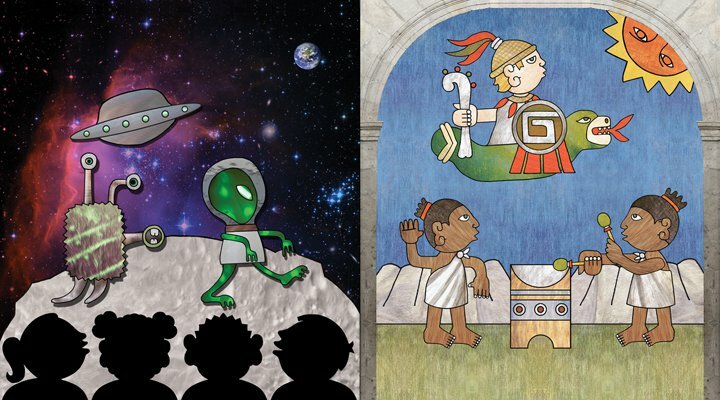 I wrote the story and illustrated it. Its published by Abrams and it will be in stores March 1st. 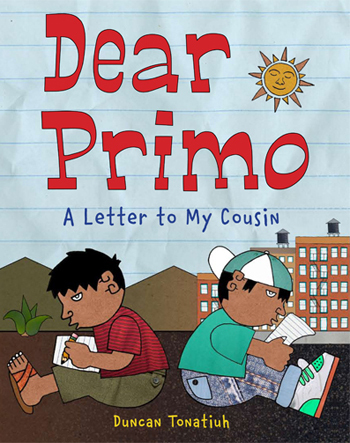 The story is about Carlitos and Charlie, two cousins that write letters back and forth to each other. 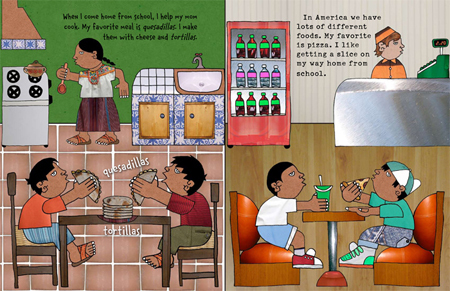 Carlitos lives in the countryside in Mexico. He rides his bicicleta to school and loves quesadillas. Charlie lives in a city in the US. He rides the subway to school and always gets a slice of pizza on his way home. Carlitos and Charlie’s environments are vastly different, but at the end of the day the two primos are more alike then different. Primos are primos. The story is inspired by my own experiences and observations. I grew up in Mexico, but have lived for a significant amount of years in the US. I’m so happy with how it came out. My mom and I got very emotional when I translated the author’s note to her. 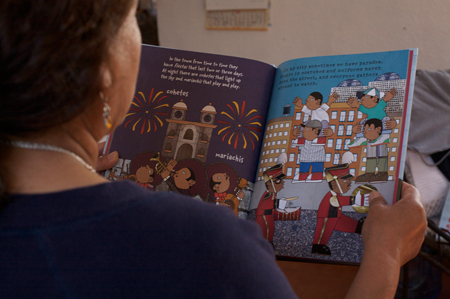 I can’t wait to see it in libraries and bookstores, but more importantly, to see children reading it. I plan on being in NY for the release of the book and hopefully I’ll be doing some book readings too. More on that once I know the details.